With Avengers: Infinity War rolling in cinema, the first question that coming in the mind of all Marvel’s fans is ” Who is Captain Marvel ?” and ” Where is Captain Marvel ?”. Until now everyone is aware of two trailers of Captain Marvel. But, to be honest, most of us are unaware of origin and the whole story of Captain Marvel. In a few weeks, Marvel Studios is going to release MCU‘s 21st superhero movie. Starting Brie Larson as Carol Danvers also known as Captain Marvel. And it is also DC Comics has beaten Marvel Studio in their first female based movie, Wonder Woman(2017). But we know who is the Big Boss. It was officially announced in October 2014, that Comic Book Studio is moving forward with Captain Marvel movie. 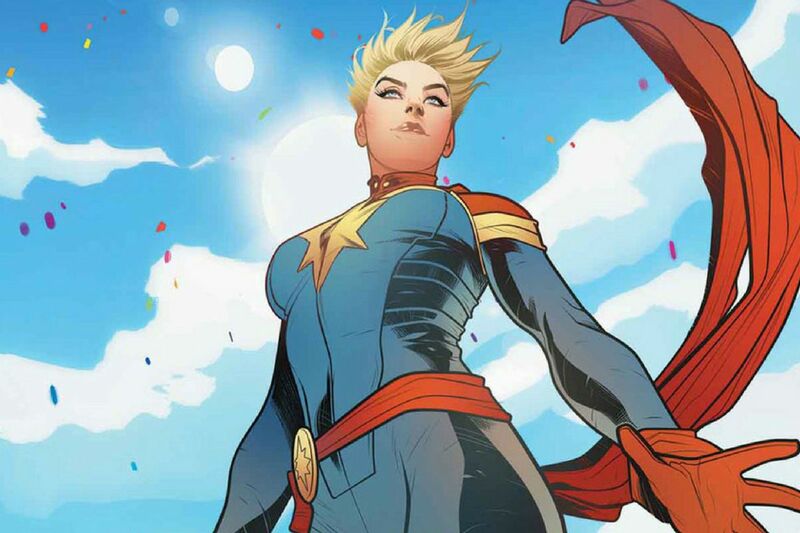 Carol Danvers is being described as the strongest hero by Kevin Feige in the MCU. But despite the fact that Marvel has Thor, Hulk and Scarlet Witch and many more characters. What makes Captain Marvel the lead lady of Marvel Universe. And do not forget that, she is the key to helping the reverse of Thenos’ reign of terror. So here is everything you need to know before the release of the movie. Captain Mar-Vell was first Captain Marvel. He makes his debut December 1967 in pages of Marvel Super Heroes #12. He was one of the soldiers of the army of Kree. But after knowing the intentions of the leader he refused to agree with them and start protecting the people of earth. He uses his power like flying, surviving the most fearsome impacts and resistibility to poisons and toxins to protect them. Captain Marvel also have some of these power, including firing energy blast and beam firing. 2. How Carol Got Her’s Power? During the battle between Captain Marvel and his enemy Yon-Rogg, she got mixed up with Captain Mar-Vell during her time in NASA. During the battle, Carol got in contact with Psyche-Magnitron. It was the device which was designed by Kree. It actually turns thought into reality, but it also throws immerse radiation which is deadly to every human being. In order to save her Captain Marvel shield her. But during that time Carol Danvers absorbs most of his genetic makeup. Also, Psyche-Magnitron reacts to her own wish of becoming Captain Marvel. Now, these two things combined with each other and changed her into Captain Marvel. 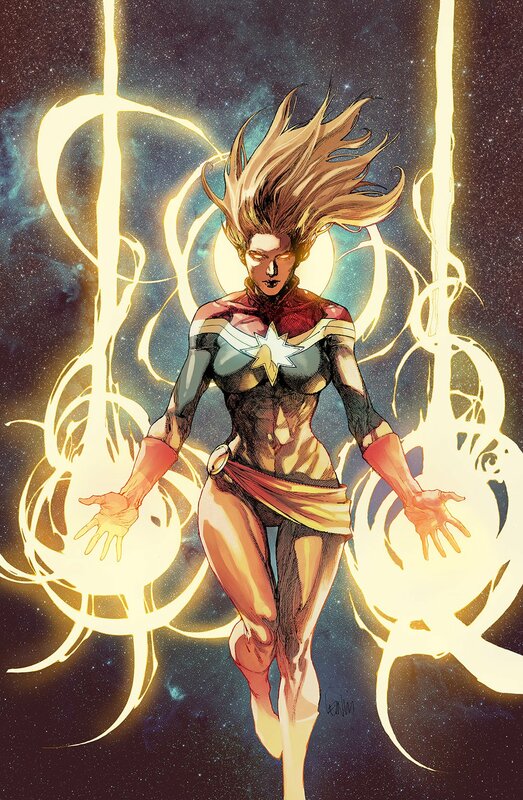 Captain Marvel bears very possessed strength and she can also control the energy bast and she also has great physical power. Now Carol Danvers had so power that she is nearly unstoppable. During the ’80s, during X-Men, Carol Danvers encountered mutant rogue. Rogue mutant has the ability to absorb the essence of anything she touches. As almost anyone who has ever watched a superhero movie or read a comic book knows, the longer Rogue touches someone, the more powers she absorbs. So during the encounter of Rogue with Captain Marvel, she touches Captain Marvel and something very terrible happened. Carol Danvers’ abilities were permanently stripped from her. Rogue permanently gained Carol’s incredible strength and ability to fly, as well as her near indestructible flesh. While Rogue suffered from a fragment of Carol Danvers’ personality in her head for some time, Carol lost the power to become Ms. Marvel. 4. Woman With Power Of White Hole, Binary. Many people are unaware of the fact that Captain Marvel is also known as Binary and Warbird. Each of these names defined reason and story behind the name. It definitely, in turn, different sorts of power and abilities she possessed. Despite having the fact that she was powerless, Carol used to travel with X-Men. Carol was eventually adapt to life without powers, but that was disputed when she was abducted by Brood. They were known to be a hideous race of aliens known for spaceshifting. So during an experiment with Carol, they combined her with White Hole, it is something having an opposite composition of Black Hole. Therefore, Carol became the ultimate source of power, that is, she can absorb and radiant a vast amount of energy. This energy was so vast that it can destroy the whole planet. Her power was compared to Binary Star System, so she called herself Binary. Now she can control the Cosmic Energy. Her skin start turning into red and her hair was fully composed with energy. 5. Difference Between Shazam And Captain Marvel. Many people still don’t know that there is a difference between Shazam and Captain Marvel. Shazam is one of the characters DC Comics. 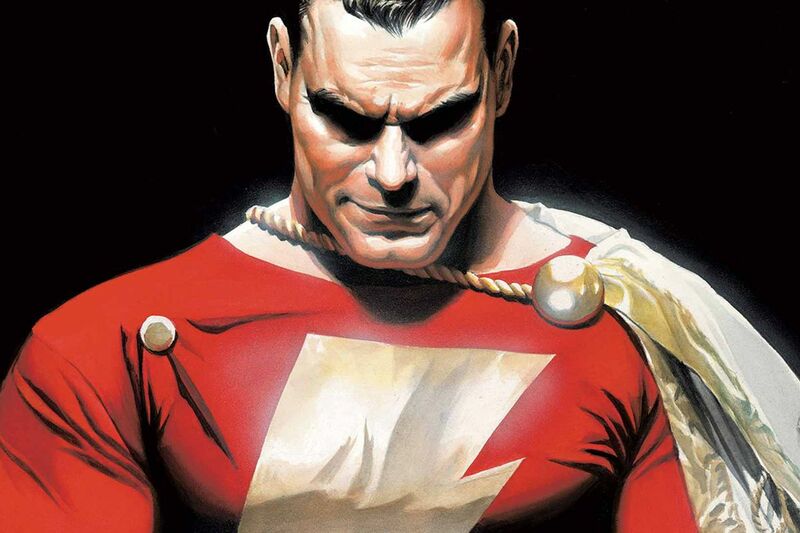 The real name of Shazam was Captain Marvel, but due to some trademark conflicts and issues, its name changed into Shazam. There is no connection between the captain marvel of DC and captain marvel of Marvel, except the name. And coming to the conflict, it was first published Fawcett Comics. But it was sued for copyright infringement by DC comics (during that time, known as National comics ) in 1953 because it was very much similar to Superman in terms of appearance. Later in the 1970s, DC comics bought Captain Marvel and tried to re- introduce him to the audiences but with medium success. By this time, there was another character called, Captain Marvel. This cause them to sue DC Comics for trademark copying. 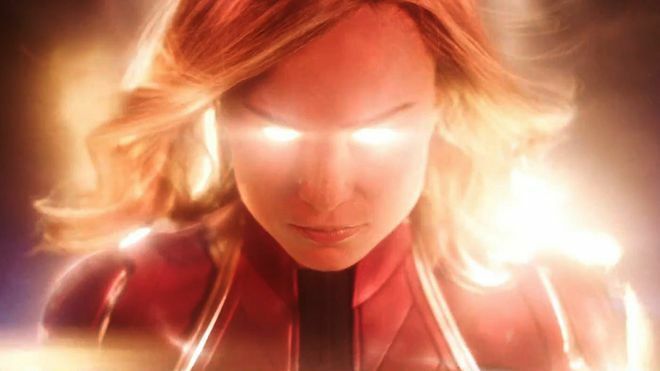 While saving the Earth’s Sun, Captain Marvel lost her power in her Binary form. She actually exhausted herself and her’s power become uncontrollable. In comics, it was confirmed that her power get reduced and unfortunately, she couldn’t again take her Binary form. So it was necessary of her to change her name. After few times, Carol joins the new Avengers roaster. And then, she was reintroduced as Warbird. She became mostly popular in alternate reality when Scarlet Witch created House of M. Wolverine awaken in that series and he knew that things are not going normal. Because he regained his memories. Due to all this trouble, wolverine awakes all the rest of heroes and they all fight with Scarlet Witch. When reality reverts to mainstream reality, Carol remembers that she was the most popular character in alternate reality. But, the real reason why she named herself Captain Marvel again is when Captain America convince her to take the tag of Captain Marvel. After that she adapts the name. Many fan don’t know but House of M was the turning point in the storyline of Captain Marvel’s and for her fans also. It was all started when Scarlet Witch starting recreating reality. This makes the mutant a dominant species. Ms. Marvel wasn’t just one of many superheroes. Instead, she was the preeminent superhero, and that stuck with her when reality was returned to normal. She would look back at her time there as a motivation to become that kind of hero in the here and now. This time set the stage for what she would ultimately become. 8. Story Behind Green Suit. When Captain Mar-Vell came to Earth, he wore the Green and White suit. At that time he was Captain Marvel. After sometimes, he upgraded it into Red and Blue with Golden Star. This suit was actually serves as inspiration to Carol Danvers when she had same abilities. For while, Carol adopted her Black and Golden suit that she wore for most of time. But the reason behind she adopted Green suit as paying tribute to Captain Mar-Vell as he’d been dead for years. 9. Civil War II – Rivalry With IronMan. Everything was totally unstable in Marvel Universe during Civil War II. This whole thing divides whole Avengers into two parts, Captain Marvel and Iron Man. The reason was as Captain Marvel wants to use this as she thought it is the only way to stop crime. But eventually, Iron Man was against this idea. With tensions already high over the death of War Machine, Danvers and Stark come to blow over the ethics of using an Inhuman’s prophetic visions to prevent future crimes. 10. Her Pet Is Deadliest Creature In Universe. Don’t mistake Chewie, Captain Marvel’s pet as a normal Earth Domestic cat by her looks. As she showed her appearance in the movie’s trailer. It was all started when Captain Marvel was on a mission so, she took Chewie with her as no one was there to look after her. When she encountered the Guardian Of The Galaxy, one of the member, Rocket Racoon identified Chewie as ”Flerken”. Flerken was known to be one of the dangerous alien species. Because of all this Rocket Racoon also tried to killed Chewie, species also known to be one of the clever species also. The reason why Carol named her pet ”Chewie” because it remind her of Star Wars character, Chewbacca.